This event was pretty rough for me. First of all, the driver's side window of the Boost Performance truck was broken out while it was sitting in front of my house overnight before the race (this makes the SECOND time this has happened this year!). It was also VERY windy, and we ended up having to double stack most of the cones on the course to keep them from blowing over. The course layout was pretty challenging and the slalom had one offset cone that was tough for everyone to get around. My times thoughout the day were fast, consistent, and were improved after each run, however... I don't think they were fast enough. Through the sweeper section of the course, my car was understeering more than I would've liked due to the mild negative camber setting I have up front. 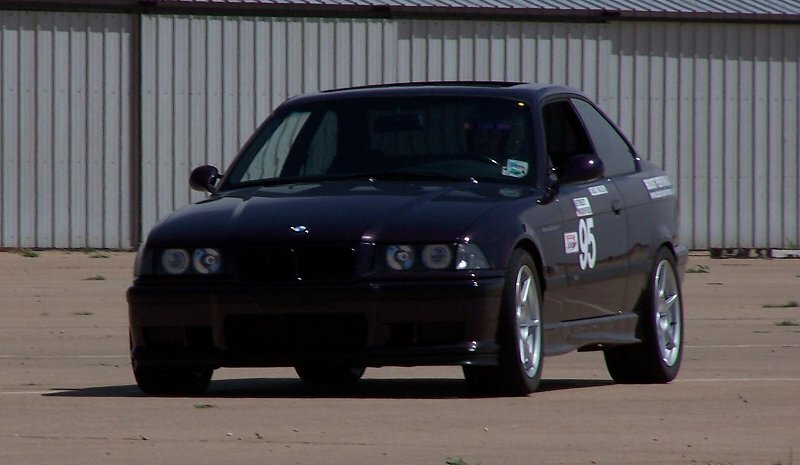 Most competitive autocross E36 M3s are running -3.0 degrees of camber or more, but I decided to go with a compromise camber setting of -2.25 degrees to keep the car as streetable as possible (one of my main priorities with the car). I'm hoping that increasing the front air pressures a little bit will help reduce the understeering that I was experiencing. Even though I felt that my times should've been faster, I was still able to win my class and set the Fastest Overall Raw Time of the Day. However, Steve Sucsy (B-Stock '00 Honda S2000) was able to set the fastest Overall PAX time, beating my PAX time by just 0.355 seconds and leaving me in second place Overall out of 27 people total. 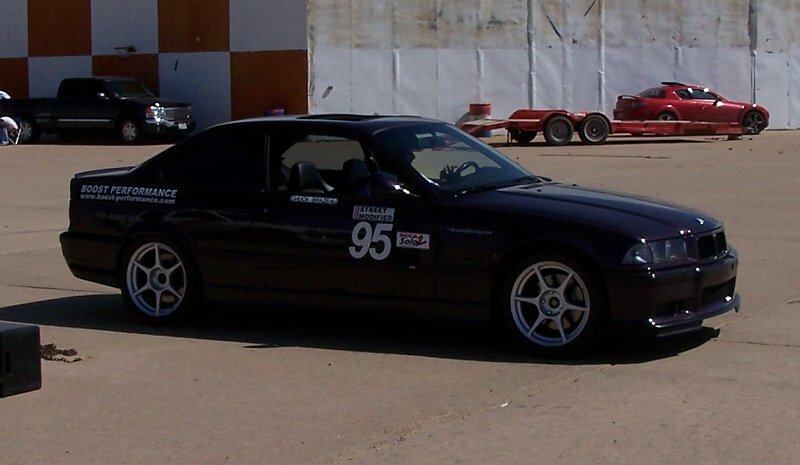 Hopefully, the next event will be less traumatic, less windy, and have less understeer!